Right, so for the event on 22 June (more information in the blog I published earlier today), Ray Ison asked me to do a talk on my experiences on systems thinking in the public sector. The brief was to talk about a) experiences b) constraints to more use; and, c) opportunities for the future. The process of writing my talk was quite difficult. In my working life I can quite happily throw together a few bullet points, use them as prompts and do pretty good presentations pretty much off the cuff. But talking about being a systems practitioner seems to need something different – maybe because I have only talked about being a systems practitioner in this blog – my language immediately becomes quite reflective, a little more personal and I need to give much more thought to vocabulary and sentences. Maybe this is my myers-briggs introvert coming out* – the need to make sure my thoughts are well developed before saying them; maybe it is that speaking like a systems practitioner isn’t ‘natural’ default mode to me; maybe it is because it is more personal – I am not talking about an issue out there, I am talking about my whole way of being. So I wrote my talk verbatim and read it pretty much word for word. I tried putting key points onto index cards but I just felt too unsafe, too exposed – I couldn’t do it. When I started thinking about this talk – and my practice as a public policy actor – the DNA double helix came to mind. 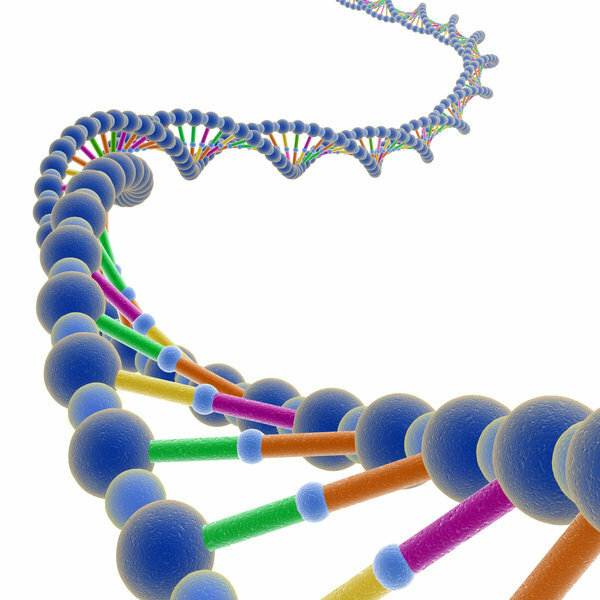 The first strand of the helix is my Systems heritage – a heritage gained through my student or academic life. That’s a life of reading, studying, writing assignments – and through that interacting with people with lots of different systems practice experience – from other students to consultants to academics. The second strand is the heritage of my experiences at ‘work’ – what Schon calls the swamp – the place where the problems are real and messy. For the last three and half years that has been convening, facilitating and supporting the partnership working that takes place around wellbeing and health in Newcastle upon Tyne and coordinating the city’s involvement in the WHO European Healthy city movement. As a systems practitioner – I’ve always wanted to ensure these two strands intertwine and interconnect. The ‘academic stuff’ means nothing without a real world to apply it to and the real world would be far too confusing and disempowering without conceptual models and ideas to help me probe it, understand it and take action to improve it. This is more than the long-running concern for “health and social care service systems” with a focus on patient journeys and seamless care. It now incorporates the much broader concern of addressing the social determinants of health. Report after report now emphasises that health outcomes are dependent on the interactions of many variables – income, work, home, neighbourhood, social life, lifestyle, climate..and that these interactions shape your wellbeing and health as you grow up, live your life and grow old. Addressing the social determinants of health requires approaches that are multi-level, multi-sector, adaptive – or as one recent WHO report said a ‘whole of society’ approach**. I really want to emphases the pluralness of systems approaches here because I worry that people latch onto the first systems tool they come to and then become disillusioned because this approach isn’t the panacea they hoped for. In the field of wellbeing and health there are many jobs to be done – service system re-design; operational coordination; setting up new services; changing community development practice; establishing deliberative policy processes; promoting social change; to name but a few. The bottom-line is local practitioners need a whole toolkit of approaches that they can draw on. And then there is the aspect that currently concerns me most. We need systems approaches to enable the change from a position where systems approaches are unusual and facilitated by external consultants to one where systems approaches are an integral part of partnership working for wellbeing and health practice. We need systems thinking to help us critically analyse our existing working practices and learn how to do things in new ways. I think this part often gets neglected. I see little in public health writing about how to bring about that huge shift in paradigm. When I do see ‘recommendations’ they seem quite narrowly focussed on issues such as leadership development. I want to draw from some ideas that are coming to the fore in the fields of health promotion and community development. The ‘traditional’ mode of working in health (and other fields) is ‘need’ or ‘deficit’ based – this mode focusses on what is missing or problematic in a community and seeks to fill it, usually through external, expert-led service delivery or regeneration programmes. Communities are recipients, they are done-to. Recently there has been a growing challenge to this mode of working – the claim is that the focus on ‘deficits’ limits the possibilities for communities to become more active in developing their futures as communities do not have an opportunity to understand their individual strengths and collective assets. This is not just ‘ineffective’ it can be harmful to wellbeing and health because it reduces the power people have over their own lives. I’d like to invite you to think back on this distinction, replacing the word community with the word partnership or public sector. And then think about the traditional ‘mode’ in which education or consultancy interventions are provided to public sector organisations. Would you place those interventions at the ‘deficit’ mode end of the spectrum or the ‘asset’ mode? Do the interventions focus on releasing local capacity thus reducing reliance on future external interventions or do they step in to fulfill a need or a deficit? The reason I raise this is I want to celebrate and embrace the systems thinking that I see going on around me at work. It is so easy to assume that it is not there. I did once, but the more I have used my increasingly systems-aware ears to listen carefully to people, the more I realise that people aren’t really completely reductionist or dogmatic – they do think holistically and they do appreciate different perspectives. And, I think they struggle to fully use that thinking in their work. Whether they realise it or not, in my view, they have natural systems thinking capabilities. Firstly, I think we need to build individual and collective recognition that the capacity exists, appreciate its value and then nurture it. Until I started to study Systems, I didn’t have a language to be able to explain this swirl of thoughts in my head. I couldn’t understand why I struggled with the ‘accepted’ way of doing things – why they didn’t feel right. I also didn’t have any tools or approaches so that I could use that thinking with a degree of rigour. I am sure other people here remember how liberating it felt when you first heard or read something that nurtured your systems thinking capabilities? The so-called ‘aha’ moment. At work I try to take actions that build what I refer to as Systems literacy – creating conscious knowledge of the language, ideas, concepts, tools and approaches of systems thinking. This is quite a tricky thing to get right when you are not in the role of formal educator – there has been times when my approach and timings have been disastrous; other times I do it by accident; and other times I get annoyed because an opportunity arose and I didn’t make the most of it. It is slow work but unless people are study-junkies like me, it is one of the only ways of raising awareness. Secondly, I think we need to nurture connections amongst the systems literate or systems aware. Systems literate people do come out of the woodwork and find each other in the oddest ways. I once grumbled about doing an assignment for my systems course to a colleague I bumped into in the canteen and the next day he left a huge tome on my desk with a post-it saying “I find this book helpful”. It was a book about the viable system model. I’ve also recently discovered a colleague who has to be the world’s biggest Bateson fan which has led to many an interesting conversation….he’s delighted he has someone to talk to about this interest and the relevance of the ideas to our work place. So there is something there about creating connections between Systems aware or systems literate people – growing very localised communities of systems practitioners based on personal relationships, rather than IT communications. Thirdly, I think we need to enable people to draw on and use their systems thinking capabilities in the course of their everyday work. It worries me that most people’s exposure to systems approaches is when a consultant comes in to do a special piece of work. Whether intended or not this makes systems approaches mysterious, out of reach and only possible in the hands of external ‘experts’. This type of exposure also means that systems thinking gets seen as something that you have to do with a ‘proper’ methodology with lots of time and a dedicated resource. I don’t want to undermine the value of those sorts of interventions but that’s not how I use my systems thinking. My systems thinking is in the diagram I draw in my notepad during the course of a rather confusing meeting. My systems thinking is in the PQR purpose definition I mentally create when I am thinking how to run a particular meeting. My systems thinking is in the conversation I have with a colleague about what we need to do next about a situation we find problematic. My systems thinking is in the words that I use when I am being asked to do something in a way that I don’t think will be particularly helpful. My systems thinking is in my reflections on the good and bad parts of my working day as I walk home. This sort of systems thinking doesn’t come from exposure to large-scale interventions using systems approaches. Perhaps we need to think more about how to introduce systems concepts and techniques as tools for everyday thinking, rather than special occasions. Fourthly, if systems approaches are to become more part of everyday policy making and public sector practice, we need to build capabilities in designing and facilitating pieces of work using systems approaches. Quite a lot of systems thinking development is targeted within leadership development programmes – people at the hierarchical ‘top’ of organisations. But it is not leaders or senior people who sit down and work out the nitty gritty of a process of getting something done. It is usually the people who are in organisational development, change management, project management or policy development roles. These sorts of people can become highly influential in terms of how processes are designed and carried out. But relationship building, convening, design and facilitation skills are not really valued, utilised and developed – and, they are skills that go rusty very easily. Finally, we have to help people appreciate the value of theory to the quality of their practice. When I was reading all the literature about partnership working for my MSc research project, I pulled out three statements from different papers, that taken together really worried me….The context is that partnerships – what they are about, what they do, what they are for are conceived at a national level. People at a local level are just required to establish them and take part in them. And as one paper I read said – this distracts from a “continually reflexive and self-examining approach”1. But then another paper said that advice on how to work in partnership is rarely based on any theory2. And a third one that practitioners ‘glean’ evidence from conferences and official guidance rather than look to published research3. I am sure there is a rather interesting causal loop diagram in there somewhere but what it says to me is that every day practice is very detached from the intellectual fields with which it should be integrated. Which is really weird because if I think about people around me at work a good proportion have some sort of postgraduate qualification. It’s just that we work in an environment where explicitly keeping up to date with and drawing on theory is not as valued as keeping up to date with and following government guidance. …and that takes me back to the image of the double helix – intellectual fields and every day work inter-related and inter-twined in day to day practice. I want to finish by saying that I feel really optimistic about the future. In my view, we have an amazingly rich systems thinking capacity that needs to be built and released to help address all our policy problems. We now have enough of a case – or evidence base – to say it is needed –and that it can help. And in the field of wellbeing and health, that becomes an ethical case – carrying on the way we are now will not improve people’s wellbeing and health or reduce health inequalities – if we change, then there is a greater likelihood we will do something great for the wellbeing of future generations. * that reminds me of the most fabulous TED talk – The power of the introvert by Susan Cain. ***The most readable report on this shift with links to a number of other references is Appreciating Assets – written by IACD and Carnegie Trust. Available for pdf download here. 1 Hunter, D.J. et al., 2010. Partnership working and the implications for governance: Issues affecting public health partnerships: Final Report, NIHR Service Delivery and Organisation programme. Available at: http://www.sdo.nihr.ac.uk/projdetails.php?ref=08-1716-204 [Accessed November 21, 2011]. 2 Powell, M. & Dowling, B., 2006. New Labour’s Partnerships: comparing conceptual models with existing forms. Social Policy and Society, 5(2), pp.205–314. 3 Blackman, T. et al., 2011. Framing health inequalities for local intervention: comparative case studies. Sociology of health and illness, Online advanced access. Available at: http://onlinelibrary.wiley.com/doi/10.1111/j.1467-9566.2011.01362.x/full [Accessed November 27, 2011]. Just Practicing by Helen Wilding is licensed under a Creative Commons Attribution-NonCommercial-ShareAlike 4.0 International License. Policy process advocacy – is the desirable, feasible? So what is the evidence base for the ‘call’ to be evidence based? Two parallel worlds of public health? So ‘absent competence’ or ‘constrained capability’? What do the tags with letters and numbers mean? Want to follow Just Practicing? Just enter your email address then click 'Subscribe' to receive notifications of new posts by email. Or use the RSS feeds below. Copyright © 2019 Just Practicing. Powered by WordPress. You must clearly attribute the article to Just Practicing by Helen Wilding, provide a link to the original and include the license in your republication. You must make it clear where you have made any adaptations or amendments.